Today we will be discussing about some office/work outfits for plus size women. For those women who are plus size and go to work. Good presentation of yourself is very important if you go out. 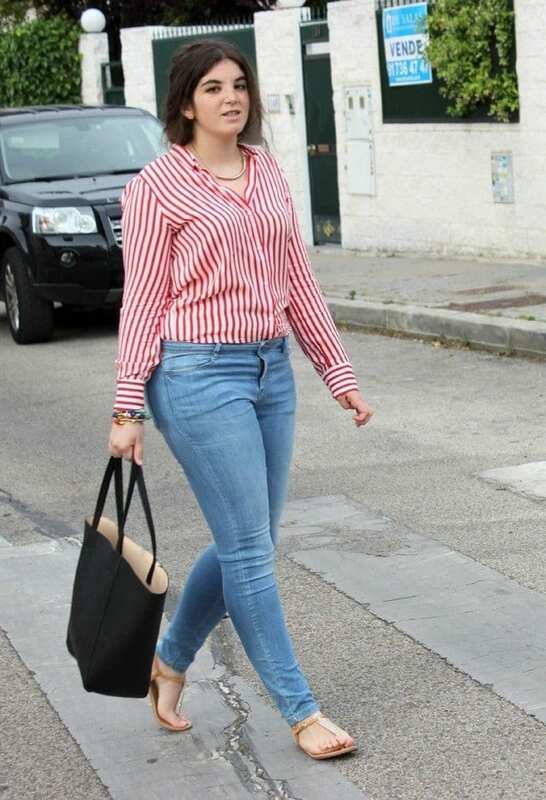 Therefore we will give you all ideas how curvy women should dress for work /office. Plus size women are usually worried. They find it hard to decide the best outfits for themselves that they can wear on daily basis to their work place. It is indeed challenging to decide outfits that can suit the body shape well, therefore while purchasing the outfits one needs to make sure that the outfit should fit them well. Work outfits can be styled in several ways. From too formal to semi – formal. Curvy women can choose them according to their preference. Few ladies like to keep it very formal and few like it simple. One needs to keep in mind that whatever they wear should be comfortable.Semi-formal attire which can be worn regularly anywhere, even to the work place. T-shirt and jeans, top and coat, etc. is considered to be a very semi -formal work outfit. Plus size ladies need to keep a lot of things in mind when they are out for shopping. Outfits should be chosen according to the body size and shape. There is no doubt that ladies are very conscious about their dressing style. Specially for working women who have to stay outdoors. A casual outfit should be very comfortable for any working women and they can wear it easily to work.There are different perceptions and preferences of every women when it comes to selection of the outfit. From color selection to style. One working women might go for jeans and shirt which is very casual, and other might go for a formal coat and shirt, it all depends on personal taste. One advice to all the ladies reading our post is that one should never look at the price tag to look good, it is all about how you dress and how you style it that makes you look good. You need to make sure you feel comfortable in your clothes.Go for the perfect fitting and color. Combination and size really matters. Office attire should be kept very minimal and simple. Your simplicity enhance your personality only. Here are some outfits ideas.Lets view the different plus size workwear outfit combinations. How to Wear shorts at work Idea. Shirt with a Short Simple,Yet Elegant combination for Summers. How to Style Skirt at Work Idea. Winter Job Outfit for Curvy Girls. Designer Plus Size Clothes For Work/Office. Causal Plus size work wear Attire. Elegant Dress Combination for Fat women. Plus Size Black Women Office Look. Cheap Plus Size Women Outfit. We have some images in this post for you all. You can view and see how you could dress up casually. I am sure you will love the ideas. Appearance matters a lot more than the size so no matter if you are a plus size, dress up well. This article is poorly written and offensive. Words like ‘black women office outfit’ and ‘fat women’ are insulting. My guess is that the article was put together by a 12 year old boy with elementary level of English. think it ironic that a stick figure was the cover of this “Plus Size” article. The women are thin, I was hoping to see someone like me. But beautiful clothes. happy to read evsrthing at alone place. This article was pretty hilarious for the very reasons that others found offensive. I am a fat woman and I quite enjoyed the Asian written article. Probably written by a Chinese person doesn’t have a good grasp of the English language and is using an interpreter app. Pretty good job actually. I also like how Spiralschneider is pretending to be an unbiased commenter when they are most likely the author of the article. I enjoyed it for these above stated reasons. this was very very helpful thank you! I am a curvy girl. not hugely over weight but definitely not skinny. often times it’s hard to find things in between the two. these women are not thin or fat they are in between. let me juat say all body sizes are beautiful! it’s just helpful to find outfits that make you feel good and look good. Again thank you for these helpful outfit ideas!